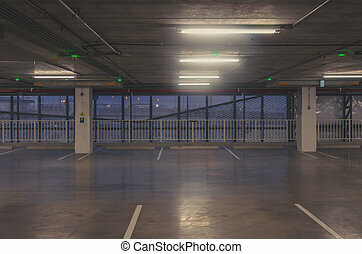 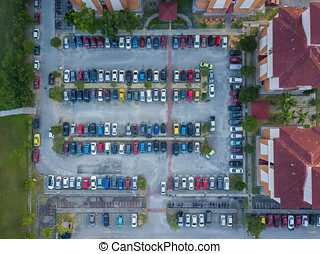 Car parking lot aerial. 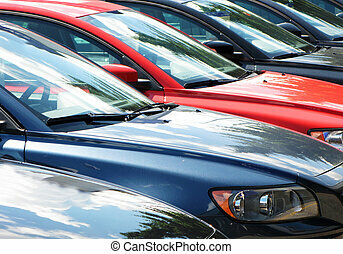 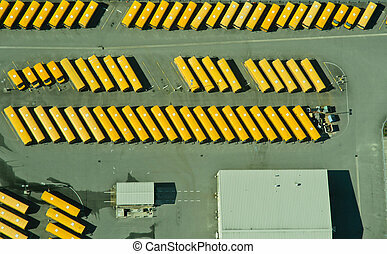 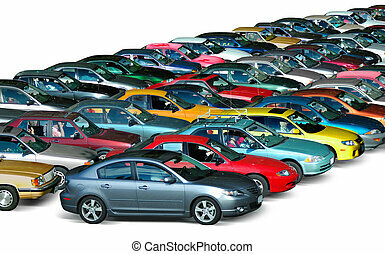 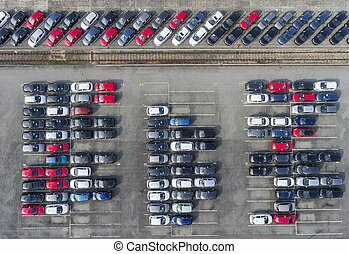 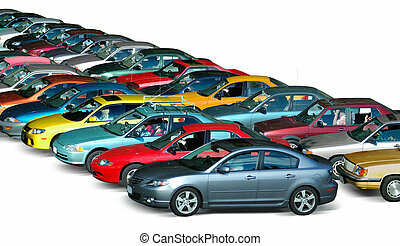 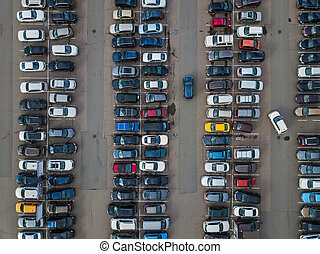 Overhead view of cars parked outside of venue. 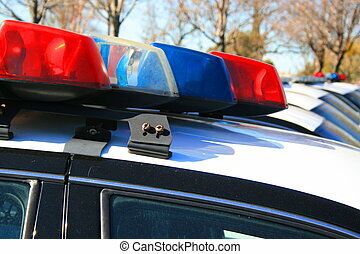 Police cars parked in a parking lot. 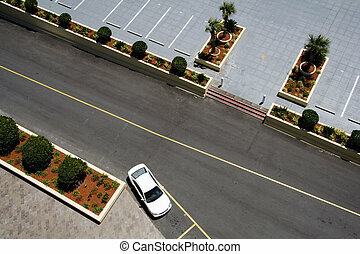 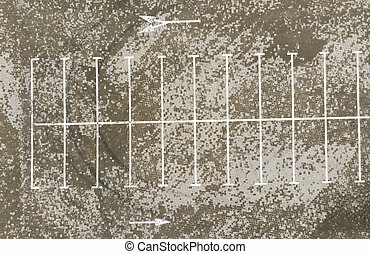 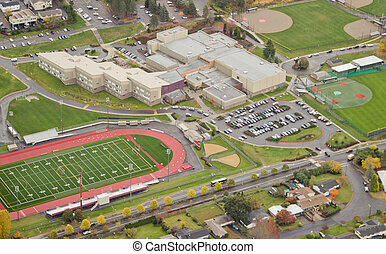 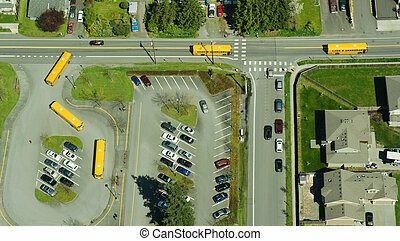 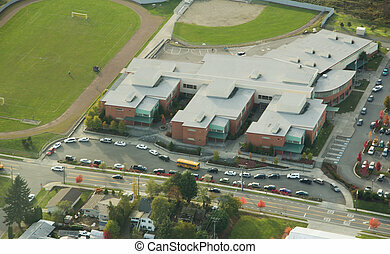 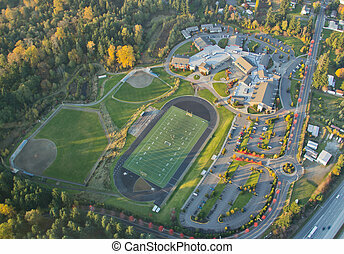 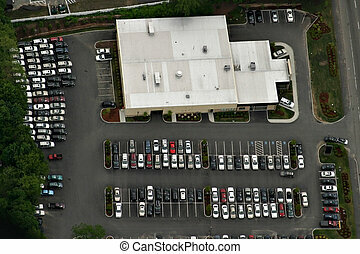 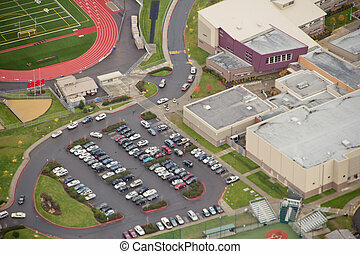 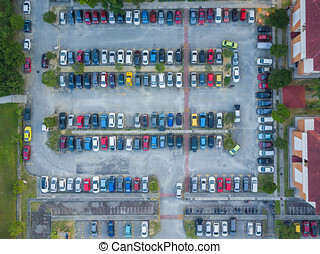 Aerial view of building with parking lot. 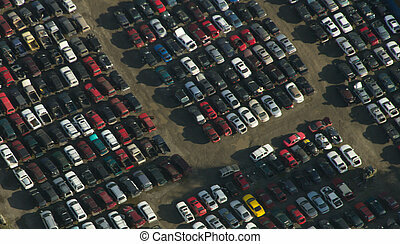 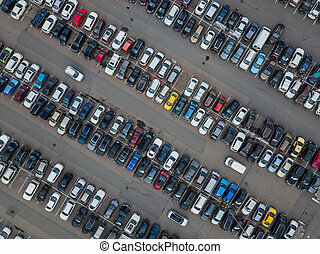 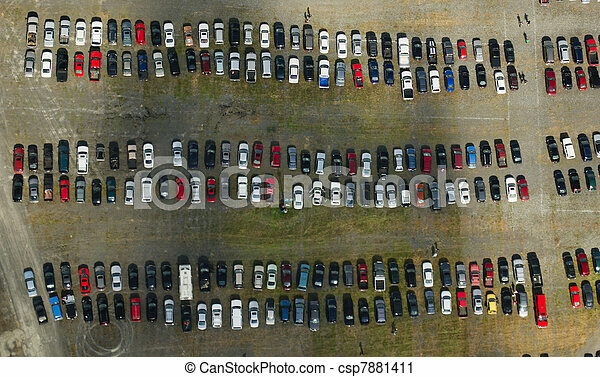 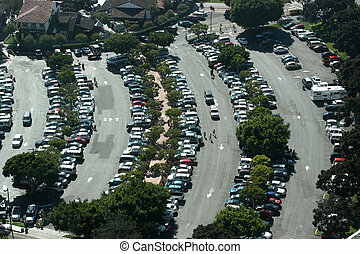 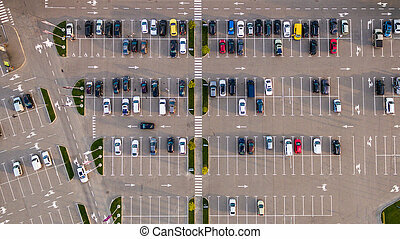 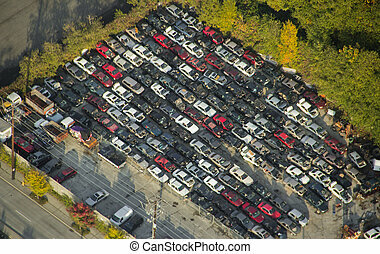 Aerial view lot of vehicles on parking for new car.